Winslow Design Group is a family business; with two generations working together to ensure our successful tradition becomes yours as well. Winslow Design Group specializes in Home Theater, Whole-House Music, Central Lighting, Home Security, Communication and Home Automation Systems. Our experience with professional audio-visual systems both residentially and commercially brings professional grade skill to your home or business. We practice a simple philosophy, any work done for you, in your home, will be done as if it were for our own. That means the finest worksmanship, materials and support. 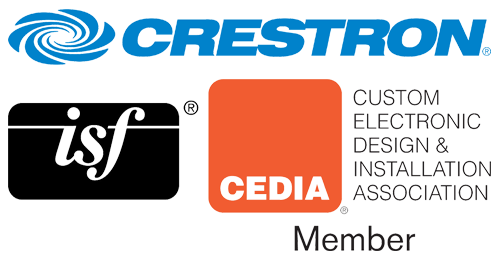 We are members of the most prominent industry, certification and training organizations such as CEDIA, NSCA and ISF. Our systms programmers are fully Crestron and Control 4 trained and certified. As proud as we are of the work we do, its after the project is finished that our dedication really shows. We always have a member of the staff on call 24/7, ready to help, so you will get timely responses to your questions whenever the need arises.